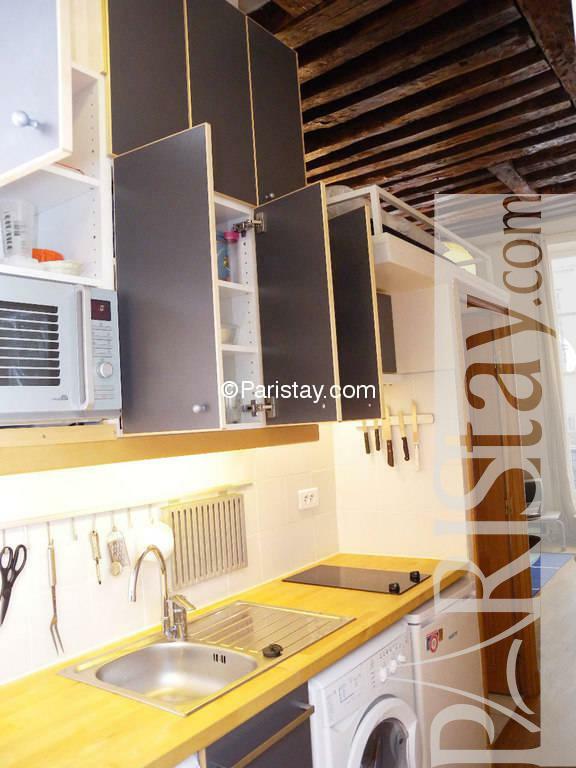 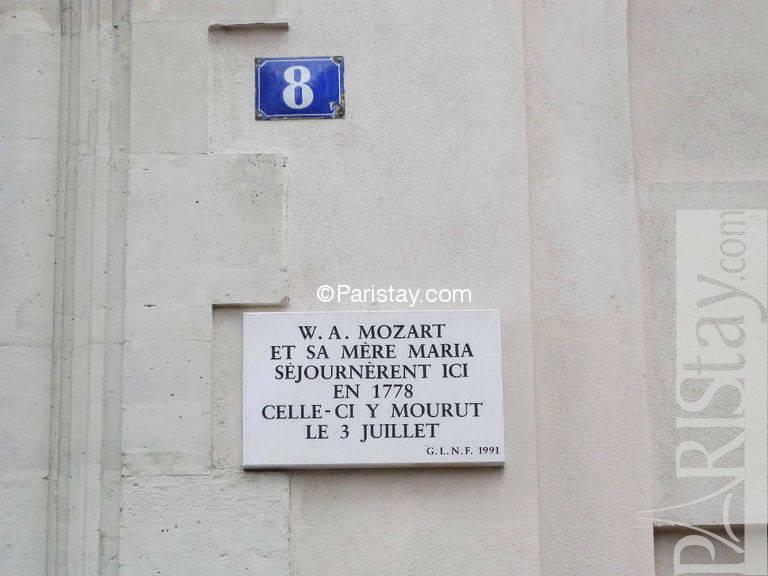 This delightful alcove studio apartment is located steps away from Les Halles and Palais Royal lively area, in the historic heart of Paris. 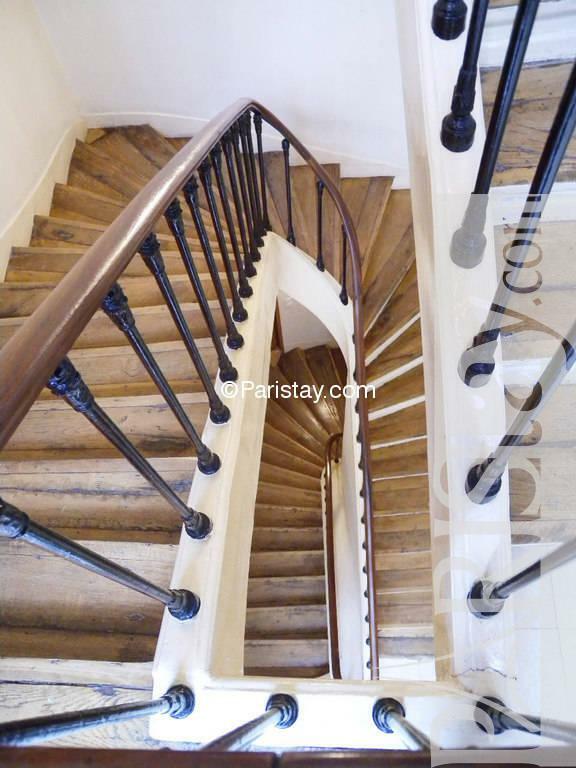 Second floor apartment with large lift in a fully restored 18th century building, the apartment was recently renovated and is tastefully decorated. 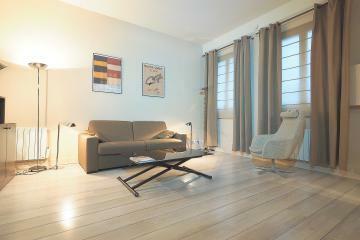 This quiet, well-lit apartment is both charming, with its high oak-beamed ceiling (3,40m/11ft high), and very functional with its contemporary furniture and equipment. 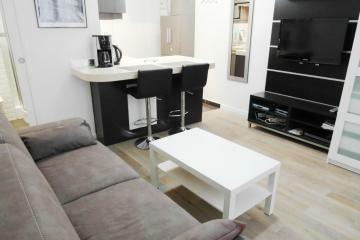 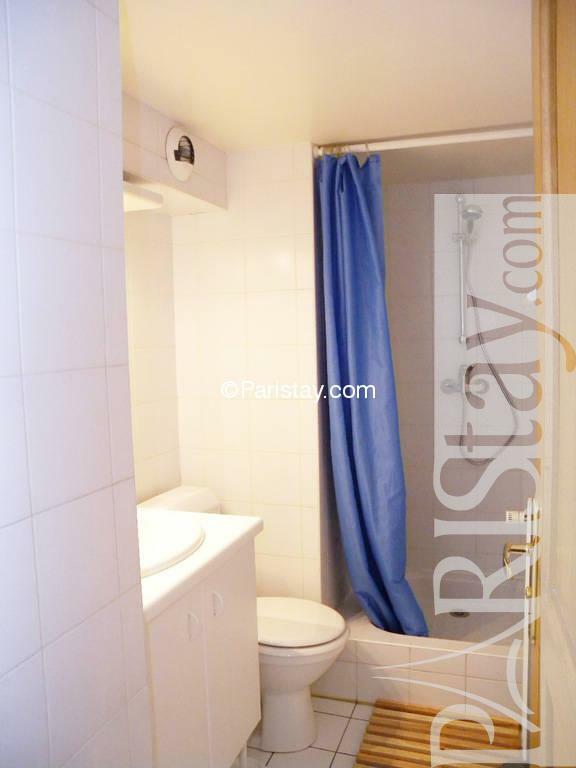 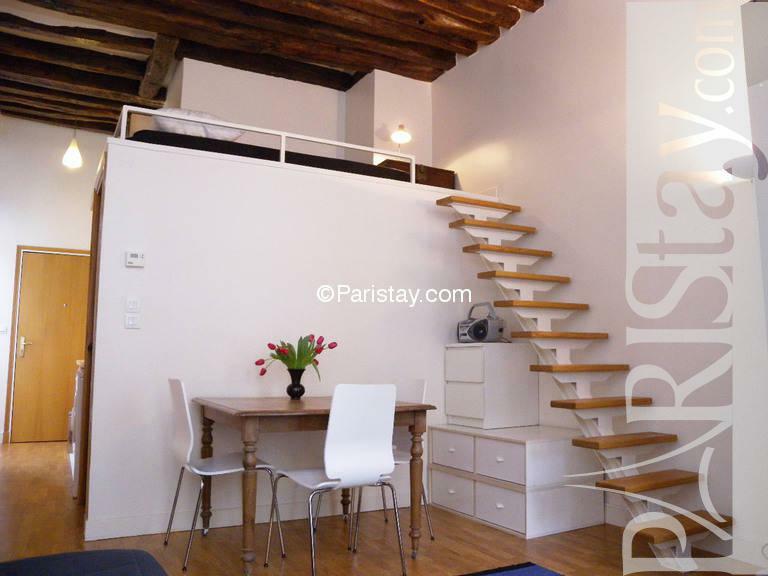 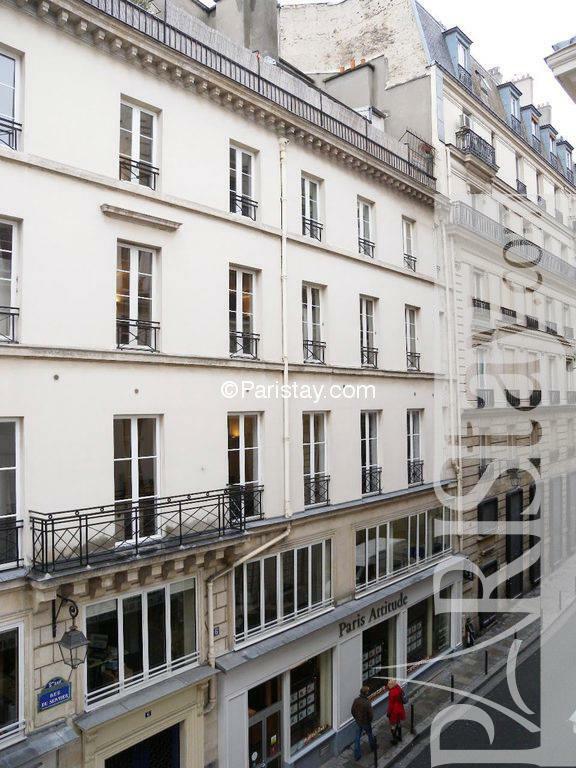 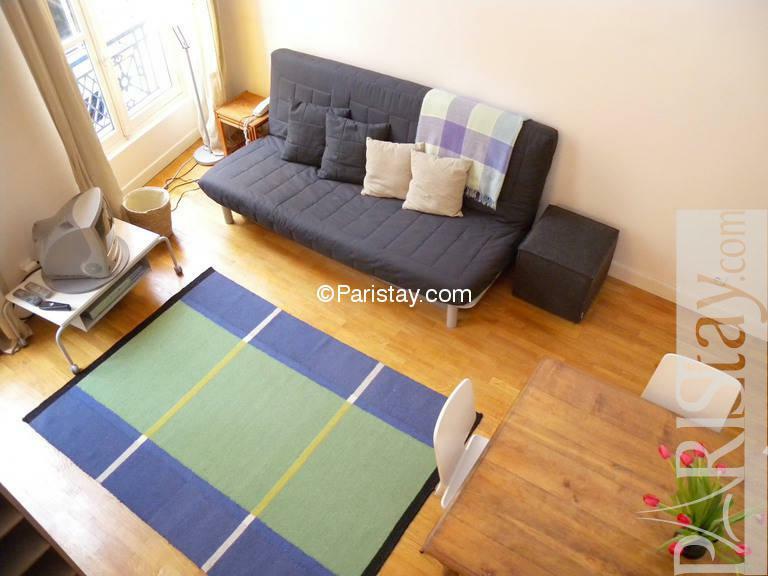 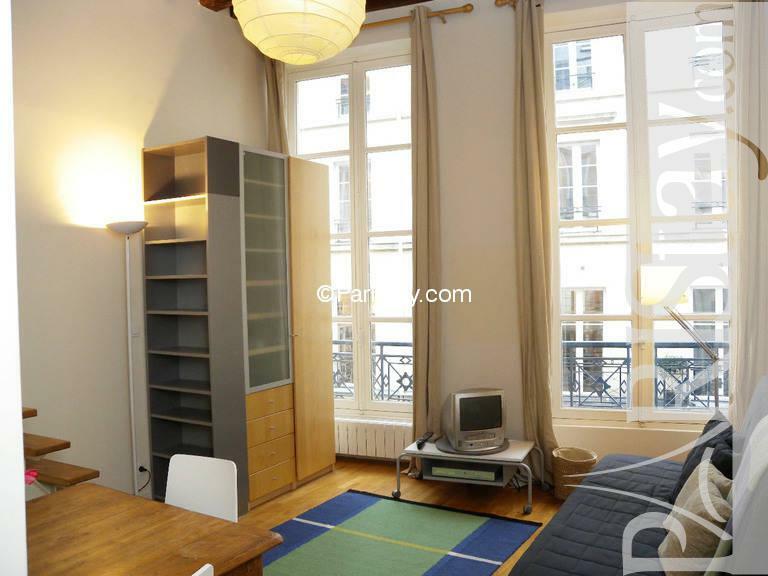 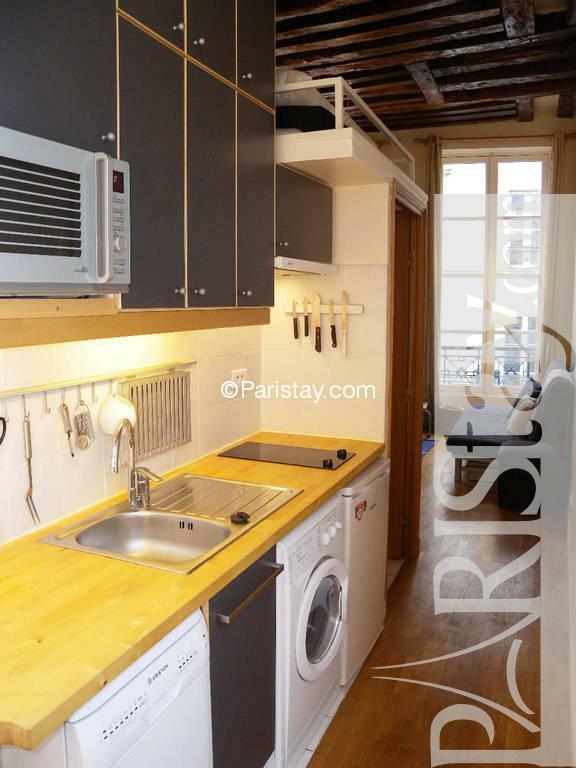 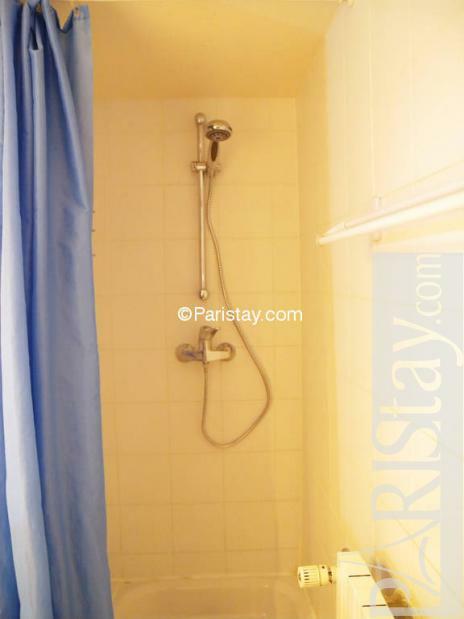 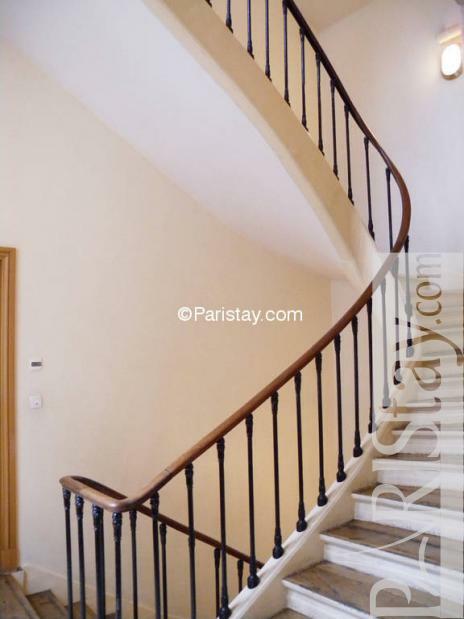 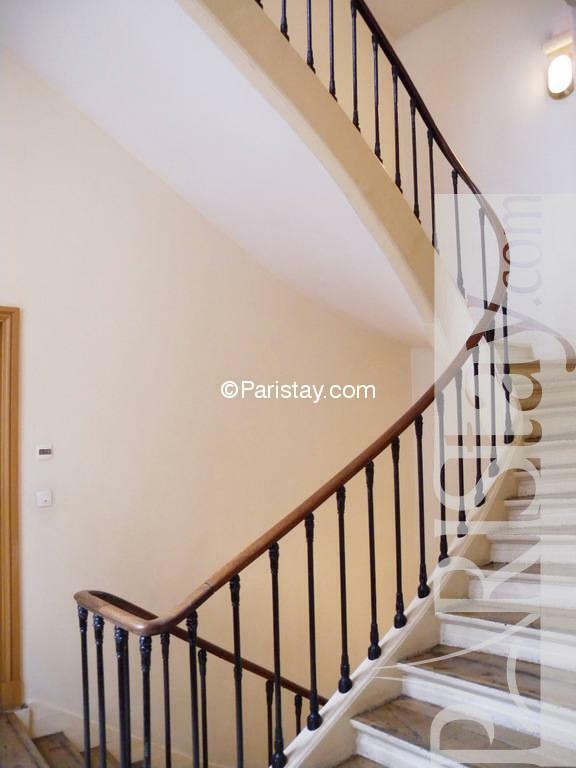 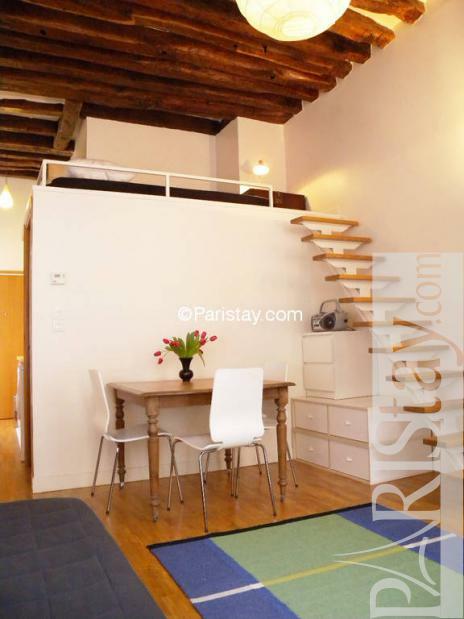 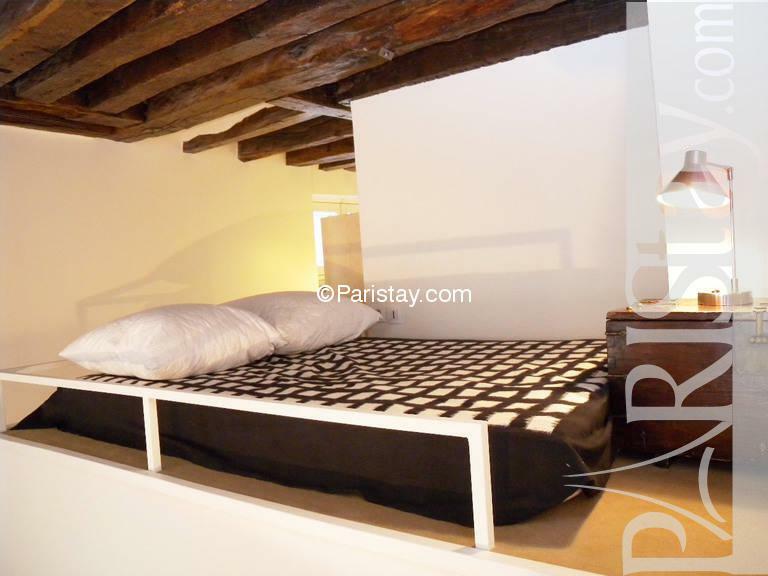 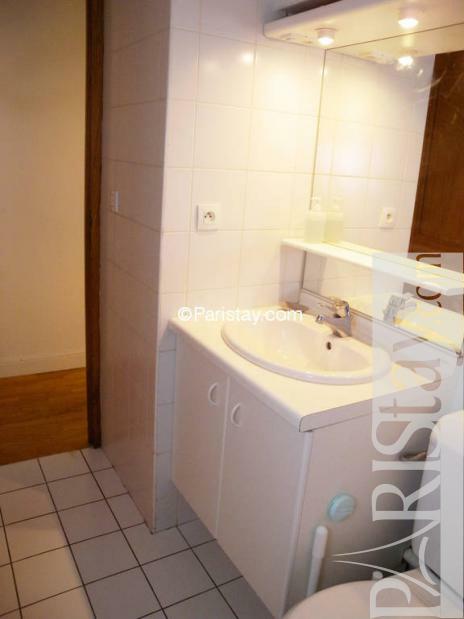 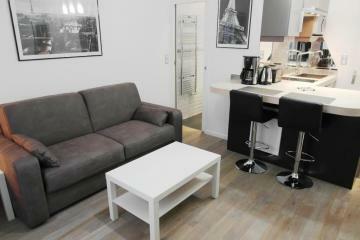 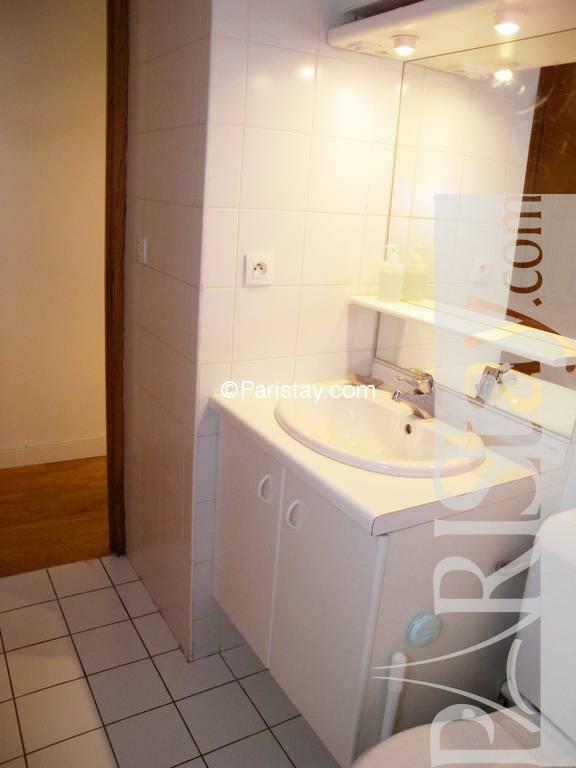 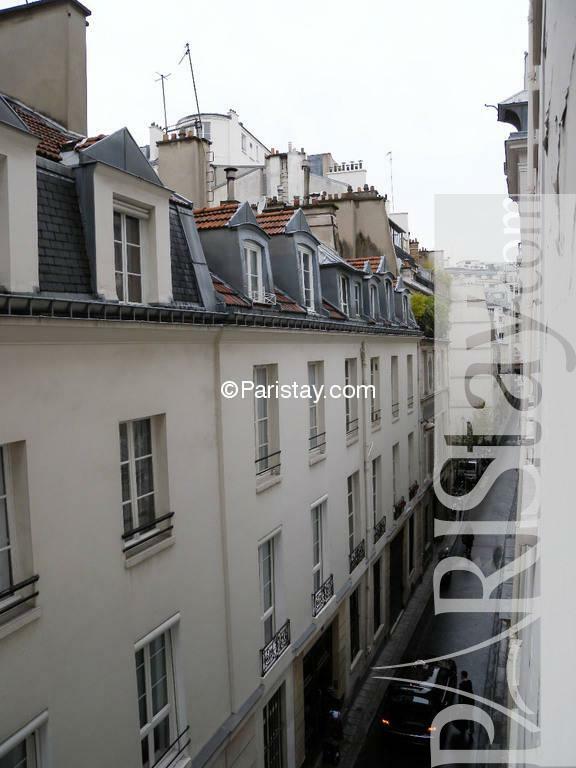 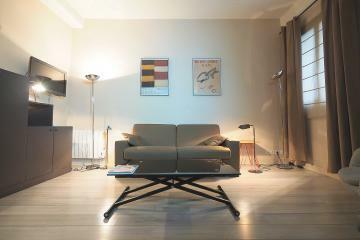 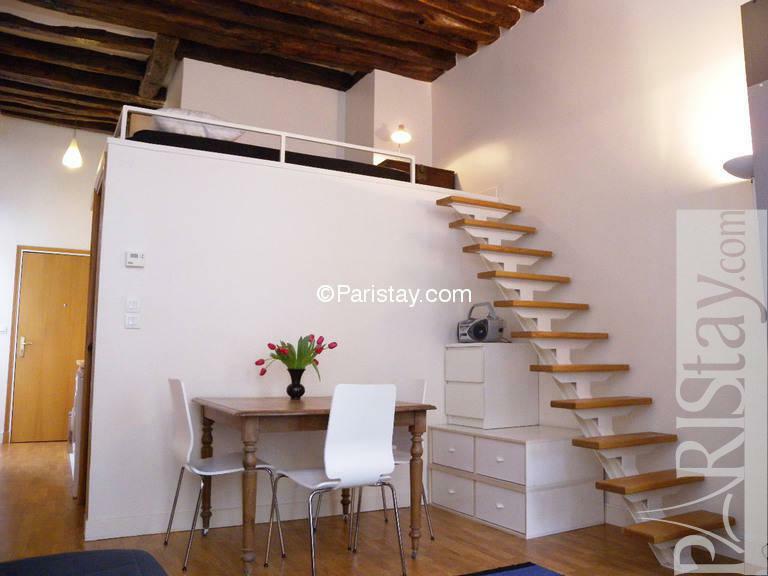 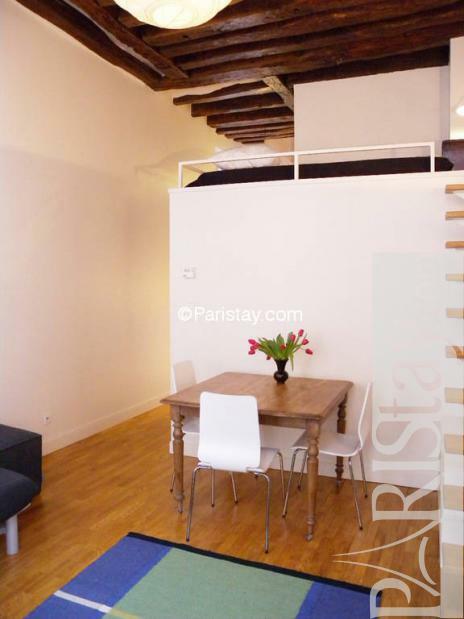 Ideal Paris long term apartment rentals the affordable studio provides a 4 sqm mezzanine with a double bed. 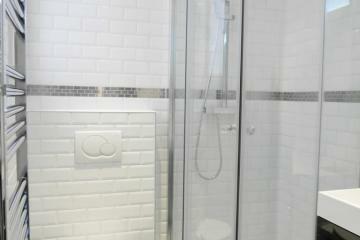 There is also a fully equipped kitchen area, a separate shower room with toilet and a sleeping area in the mezzanine. 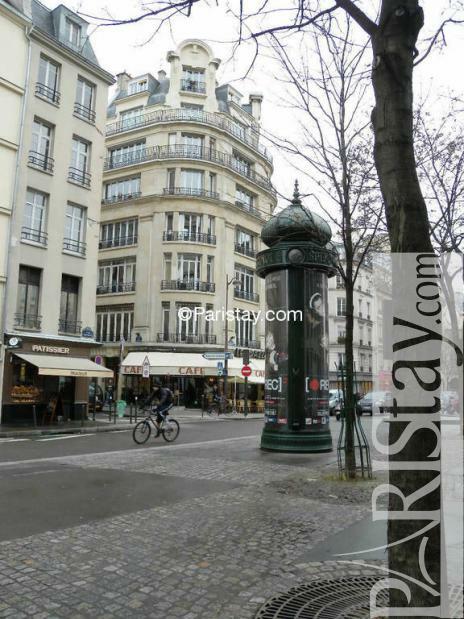 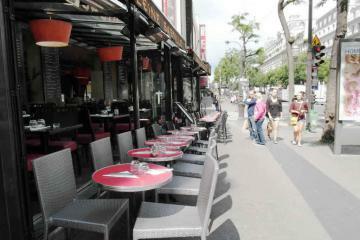 Close to the bustling pedestrian area of the Montorgueil market with its abundance of restaurants, bars, bakeries and supermarkets, it is difficult to imagine a better location to indulge in Parisian life to the fullest. 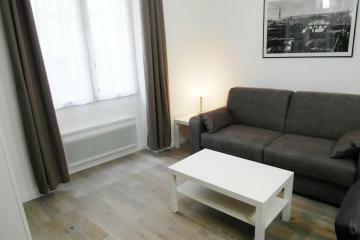 Please note: there's forfait of 80E by month for Electircity, Gaz, Internet, cable TV basic access on top of the monthly rent. 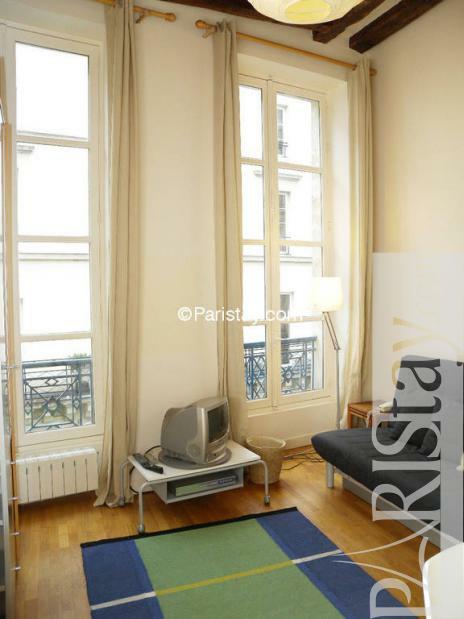 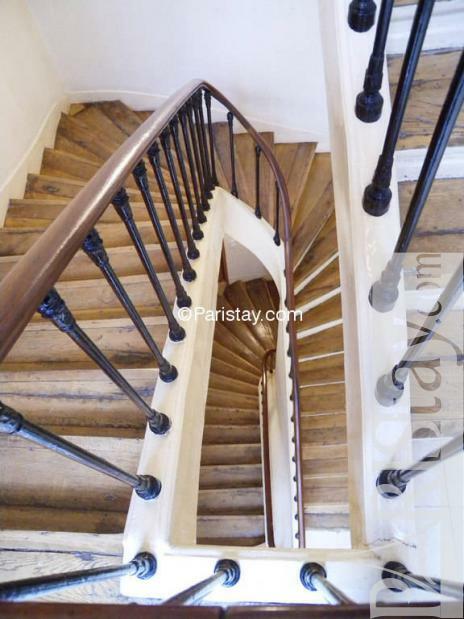 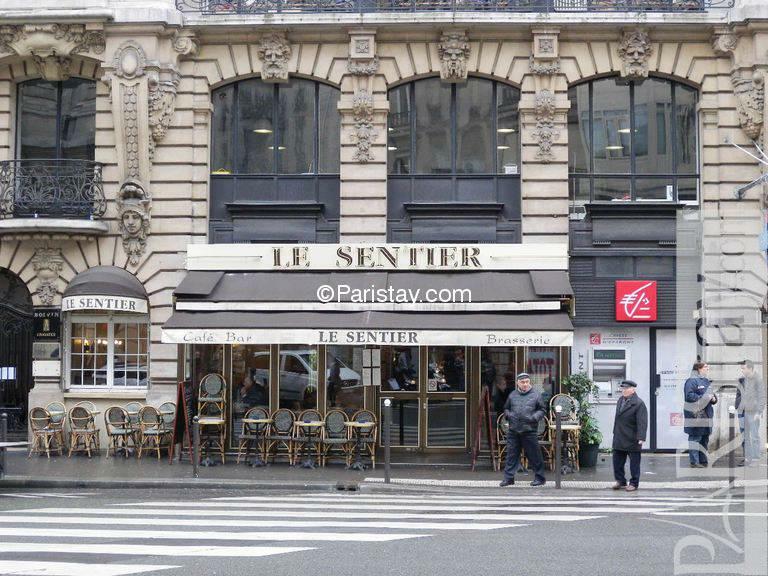 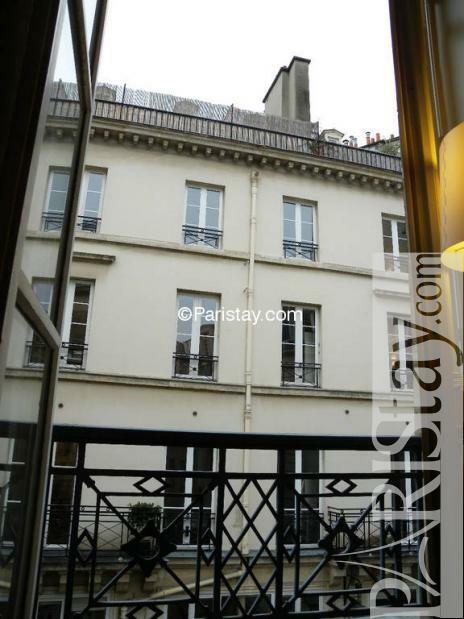 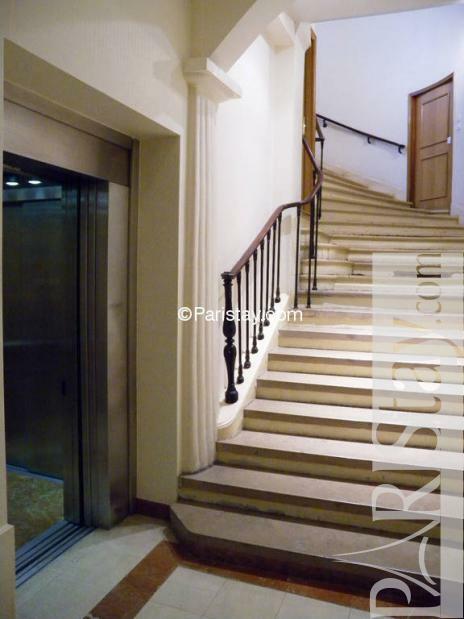 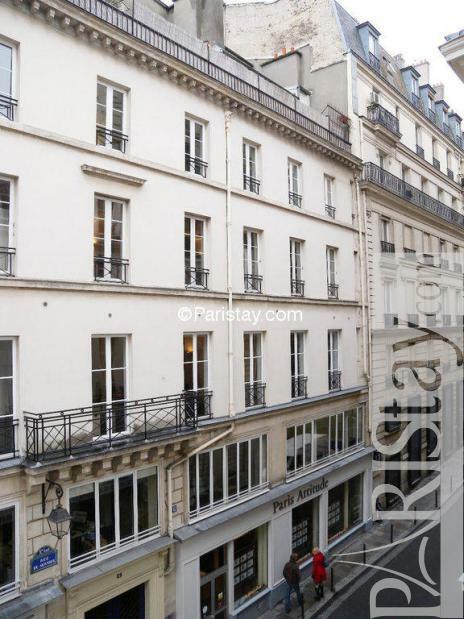 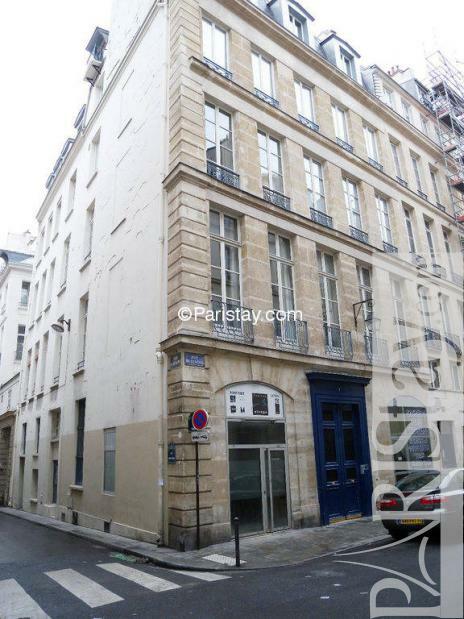 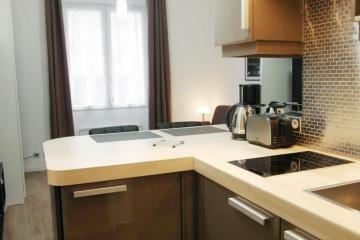 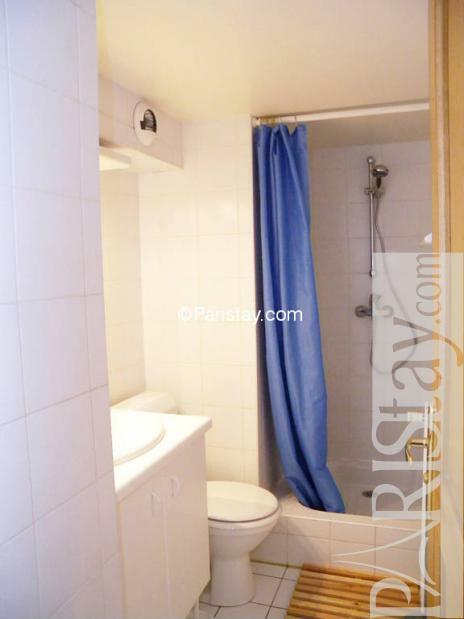 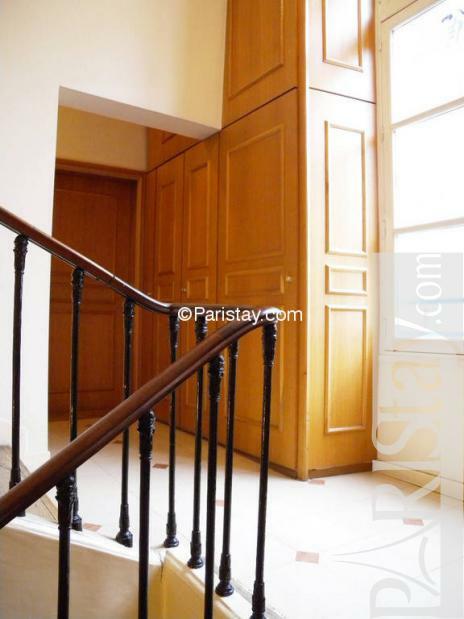 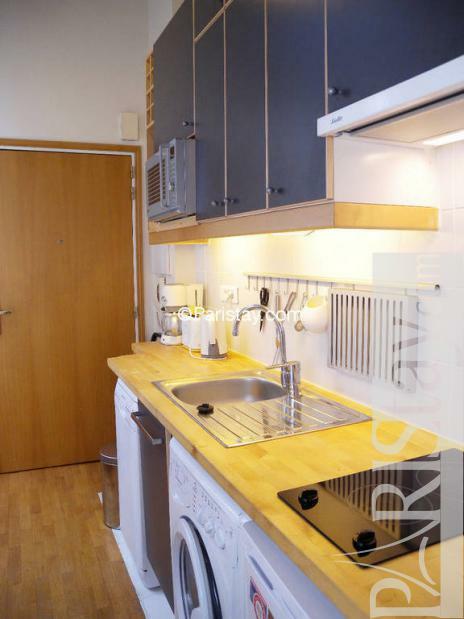 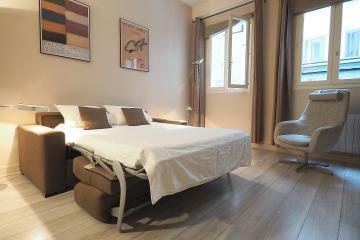 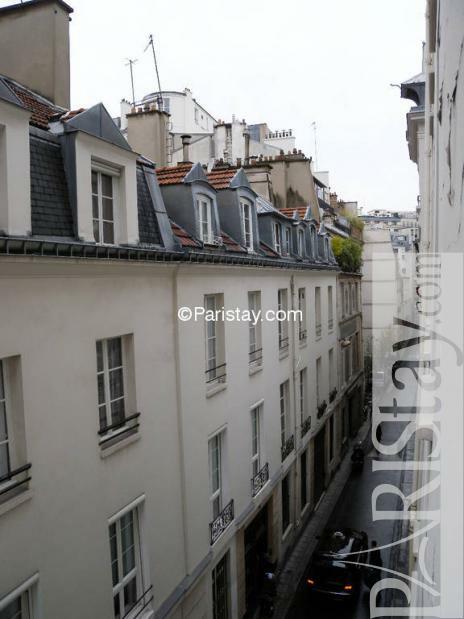 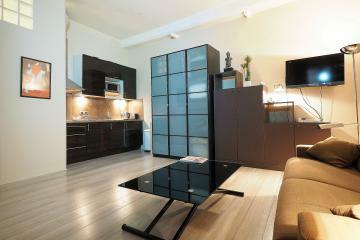 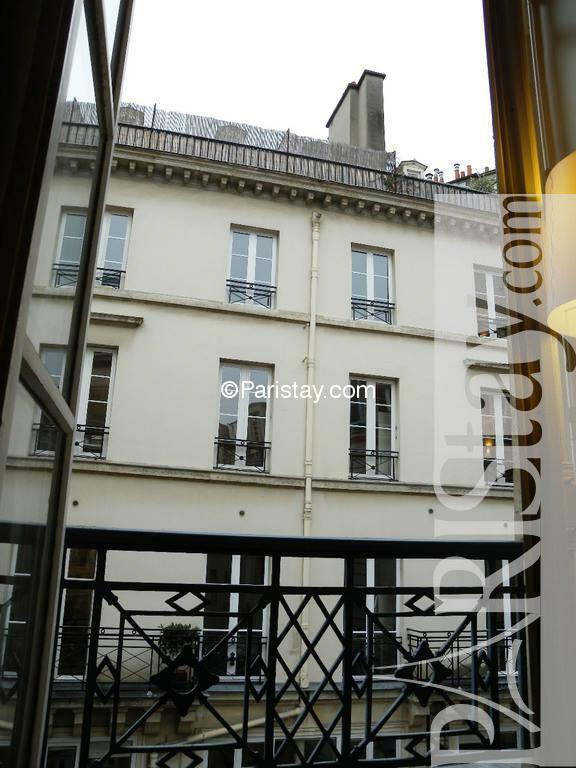 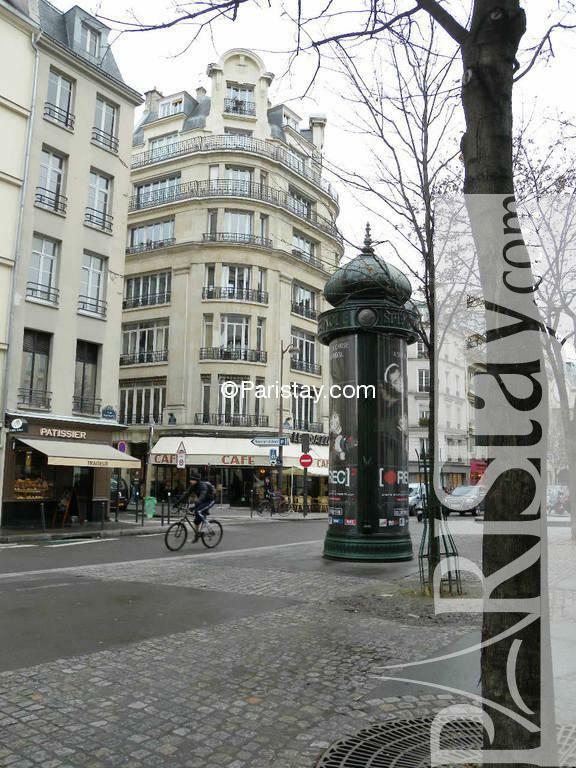 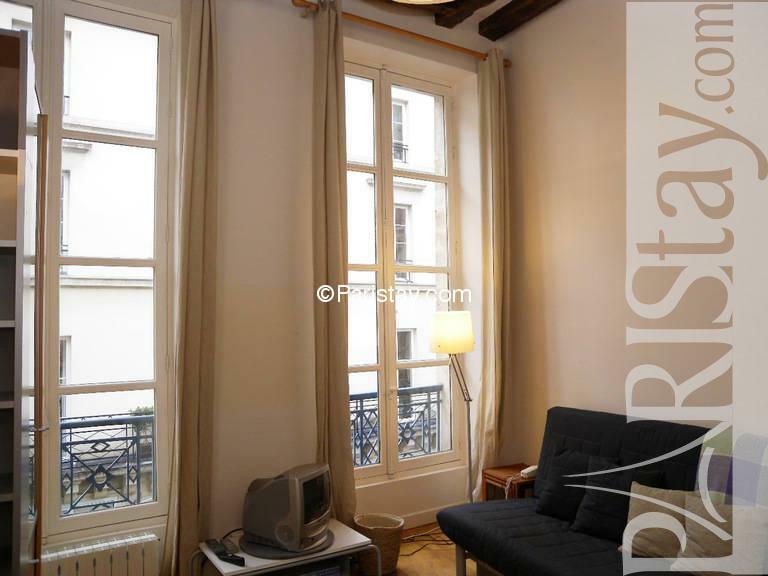 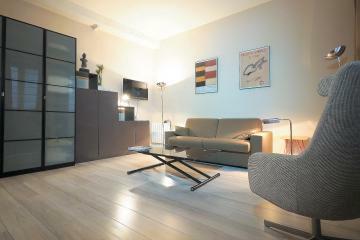 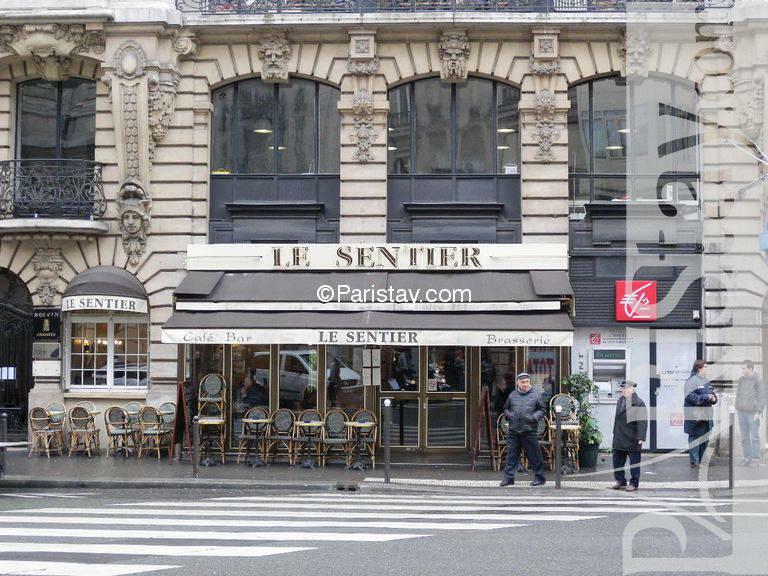 1750's Building, 2 nd floor, with Lift, entry code security system, Studio Appartement, furnished, Approx: 25m² / 269 Sq.Ft.